I’m going to annoy the professional historians for a while with some more pretty pictures, starting with this portrait hanging in the National Gallery of Art in Washington DC. 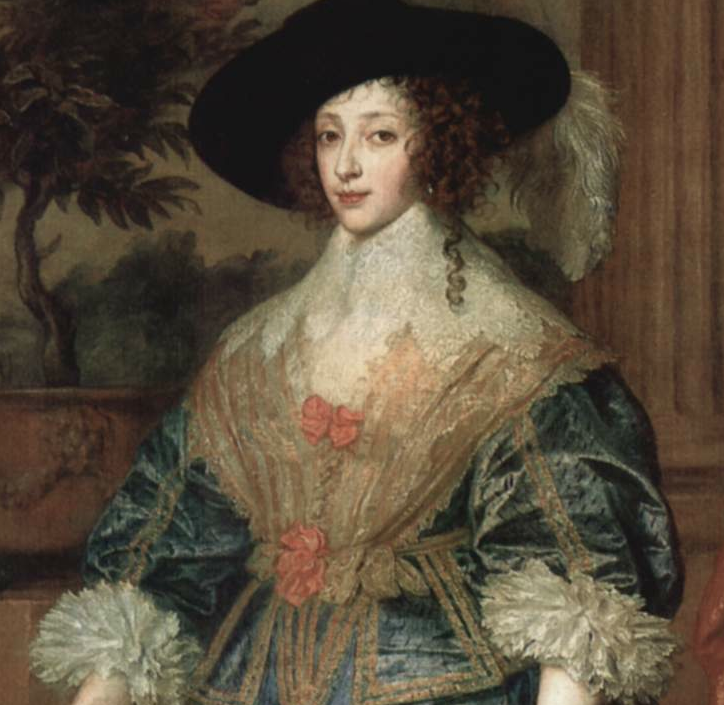 It was painted by Anthony van Dyck in 1633, and is more naturalistic somehow than most of the other portraits of the French Queen of England, showing her supposedly dressed ready to go hunting, though I’m not sure how practical a taffeta petticoat would be on horseback. 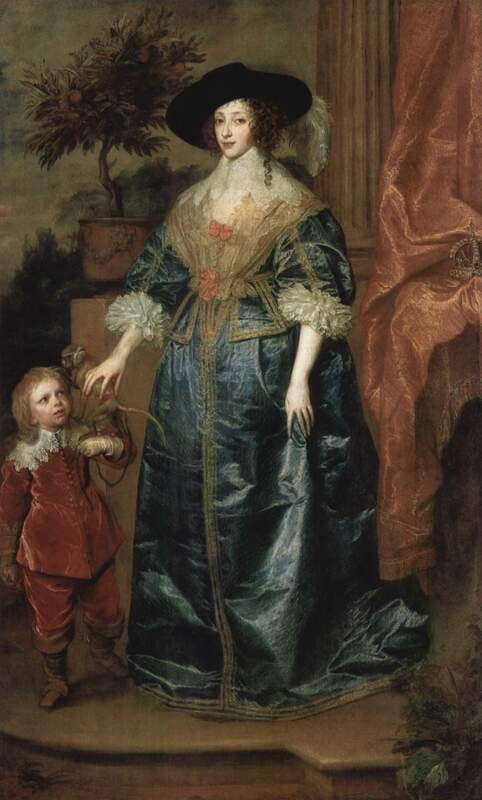 Henrietta was twenty four years old when van Dyck made this picture and Sir Jeffery, the court dwarf and great friend of the Queen only fourteen. Henrietta is wearing a blue taffeta tabbed bodice and matching petticoat with a laced neckerchief and falling band confection around her throat. She has a wide brimmed hat ready to go abroad on the hunt and her linen is picked out with contrasting pink ribbon. Sir Jeffery wears a red velvet doublet and breeches, lace edged falling band and soft leather gloves and riding boots. If you look closely at the fabric of her bodice you can see lots of tiny holes punched in the silk, the decorative process known as pinking. It is also continued across the petticoat skirts. Notice also the complicated gathers of her laced cuffs. And in the modern vernacular, to be fair, a close up of Mr Hudson and his monkey. 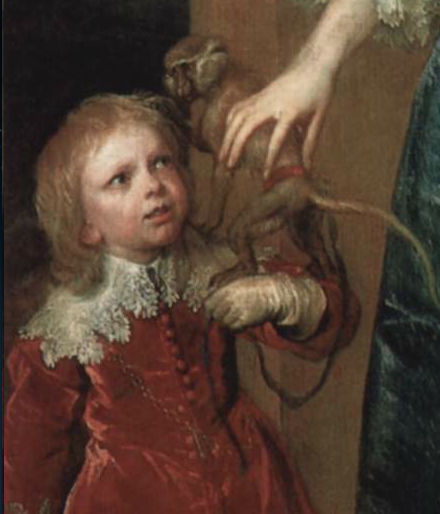 Nothing wrong with some pretty pictures … One of the best dissertations I’ve read was on the portraitist Mary Beale and her ‘pretty pictures’!